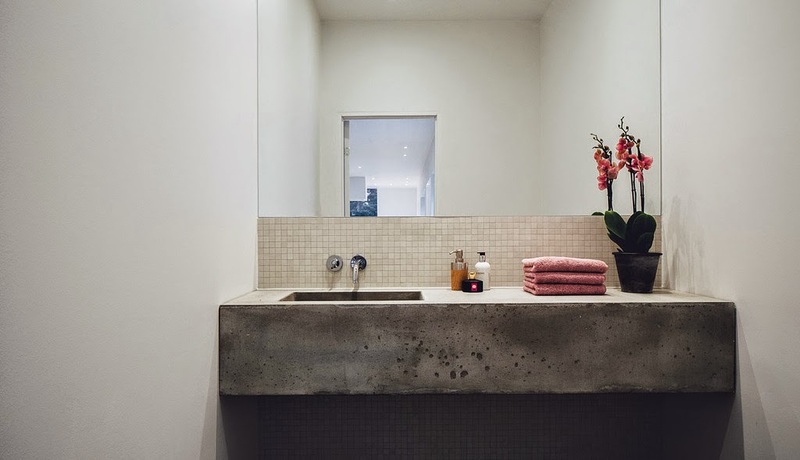 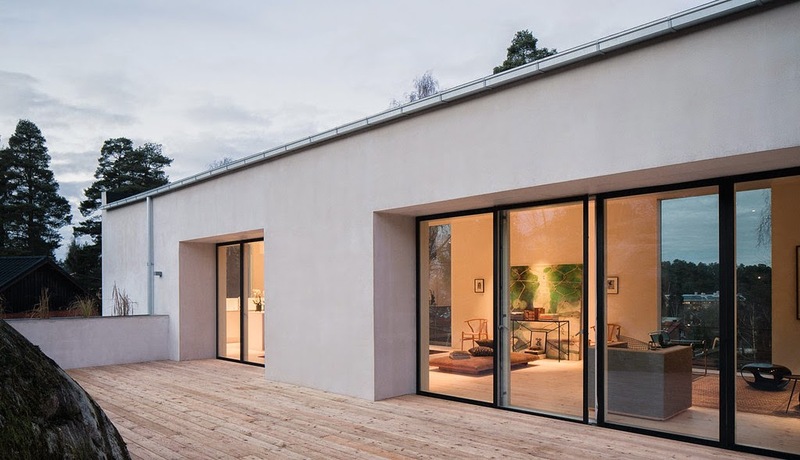 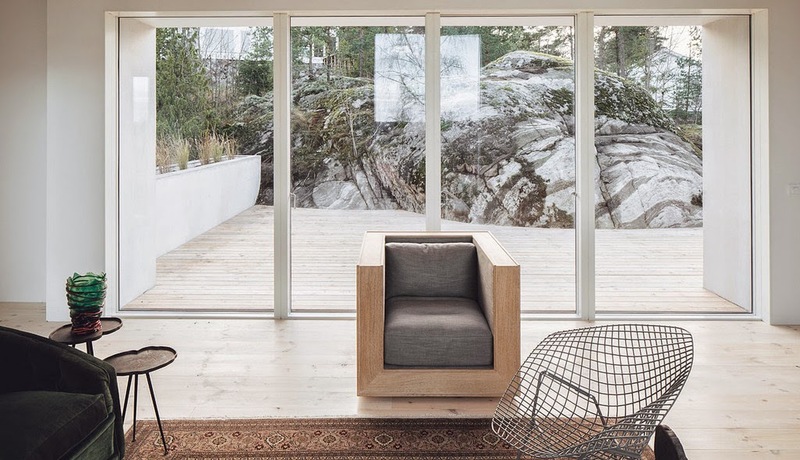 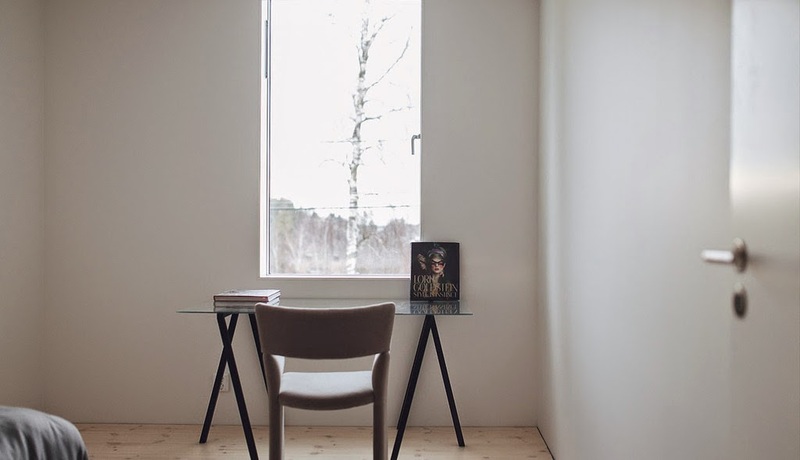 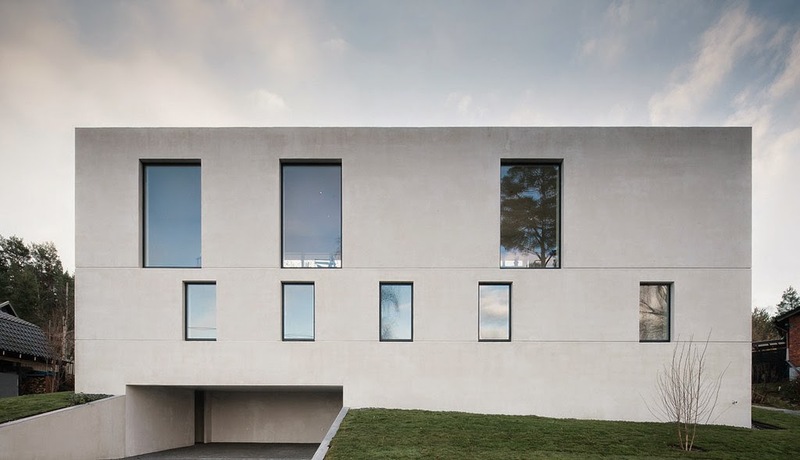 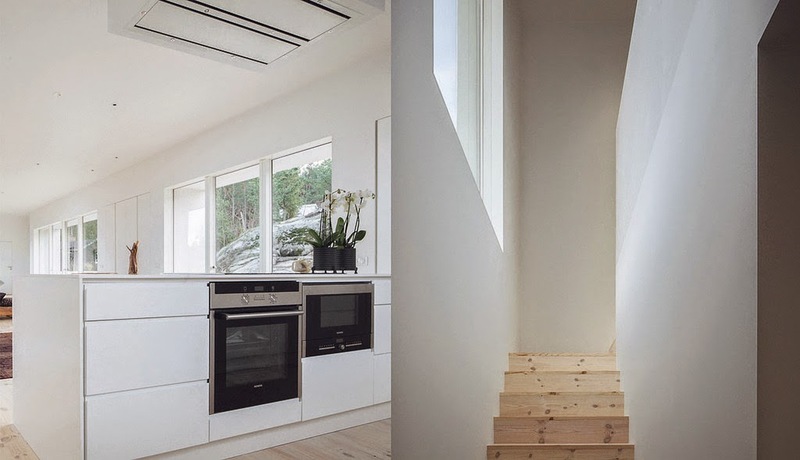 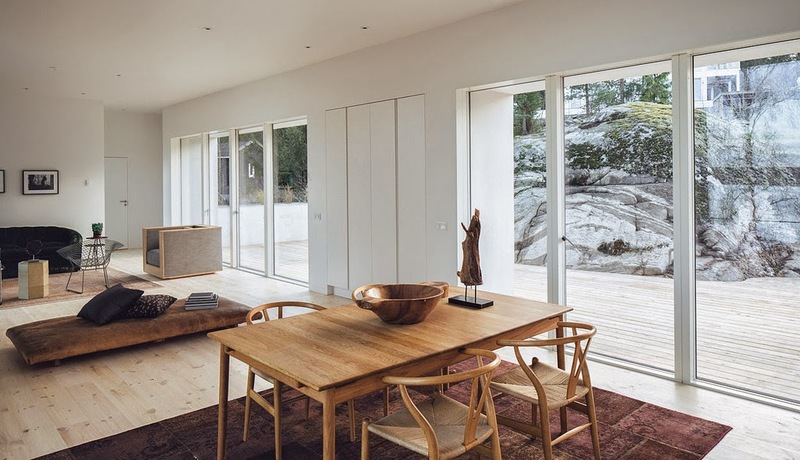 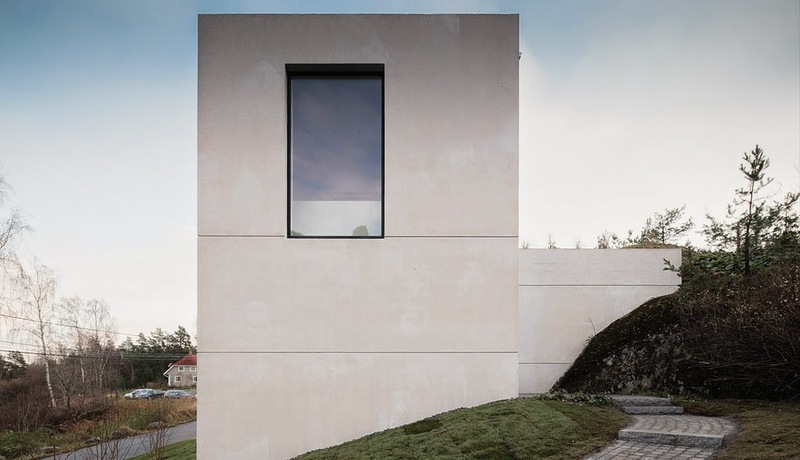 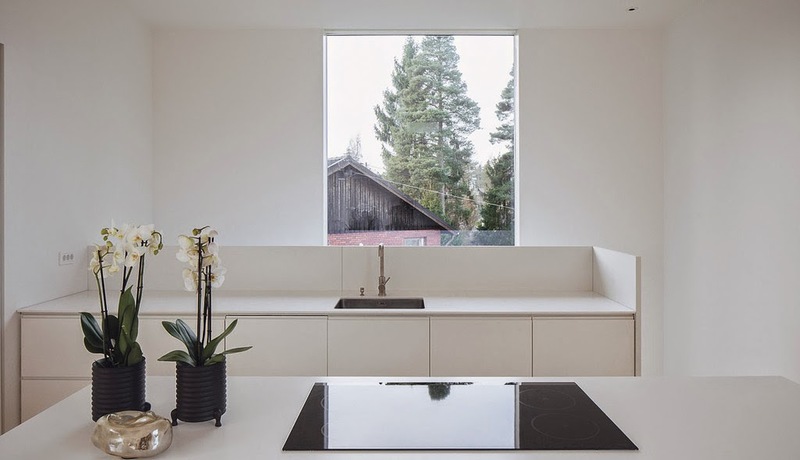 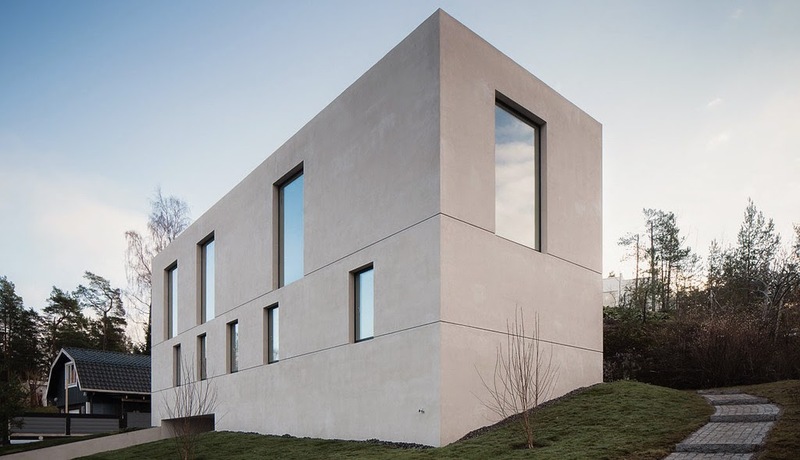 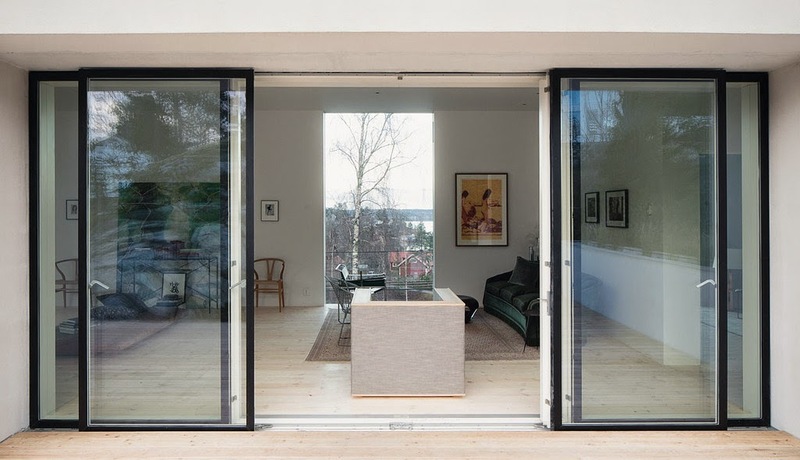 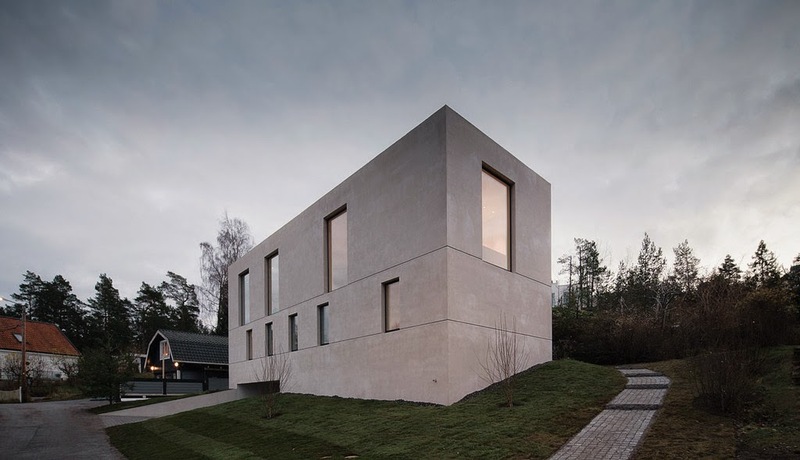 Villa Mörtnäs is a minimalist family home in the Stockholm Archipelago, Sweden, designed by architectural studio Fourfoursixsix. 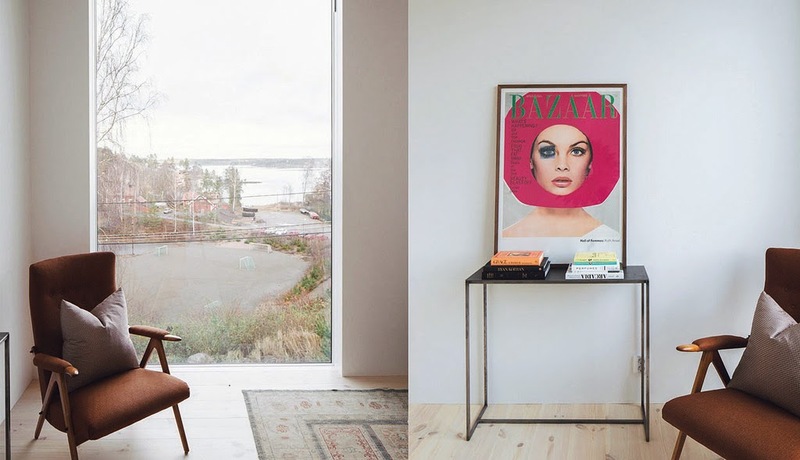 The living areas enjoy high ceilings, facing the sea to the north, while featuring large sliding glass doors opening to the south. 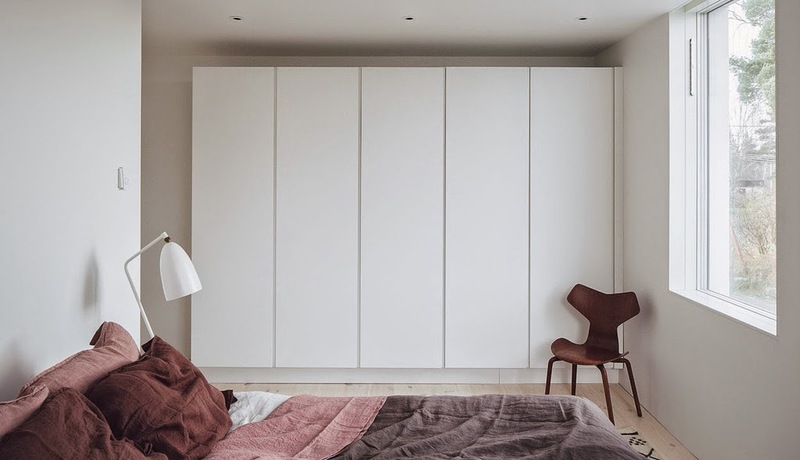 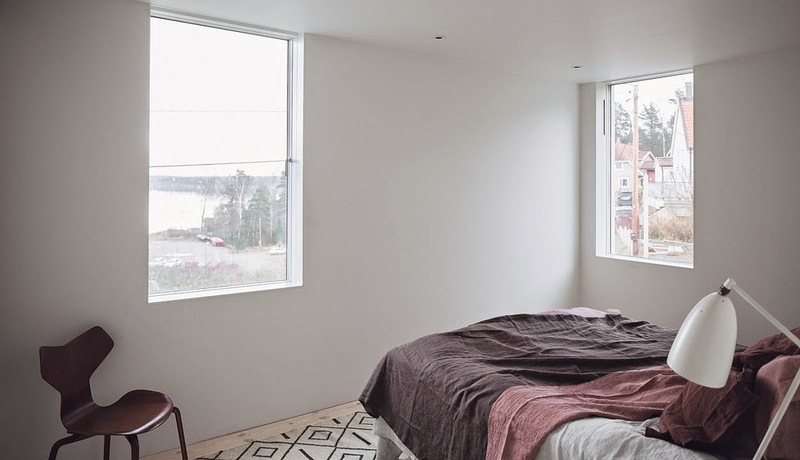 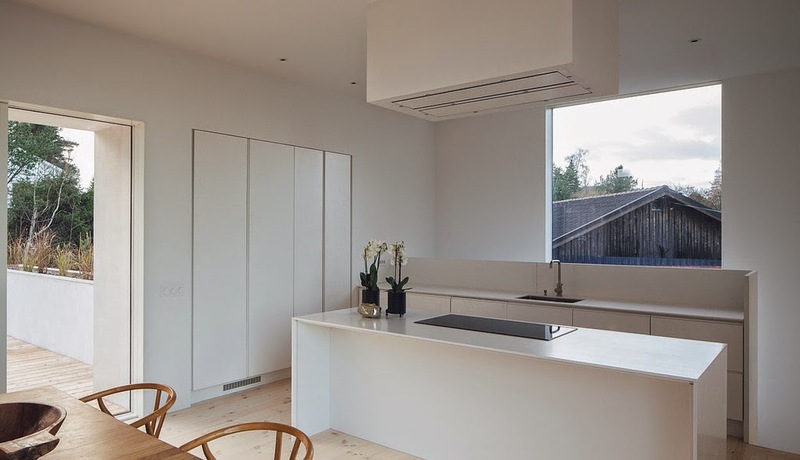 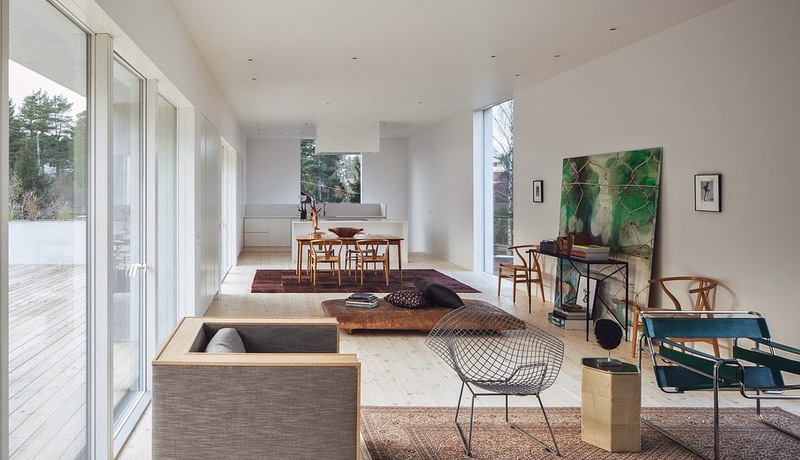 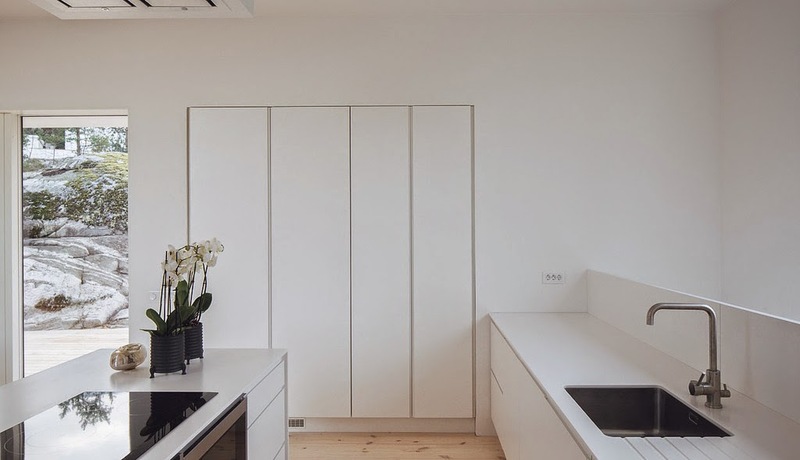 The white interior is filled with light and an original scandinavian atmosphere, through a careful selection of timeless design pieces of furniture. 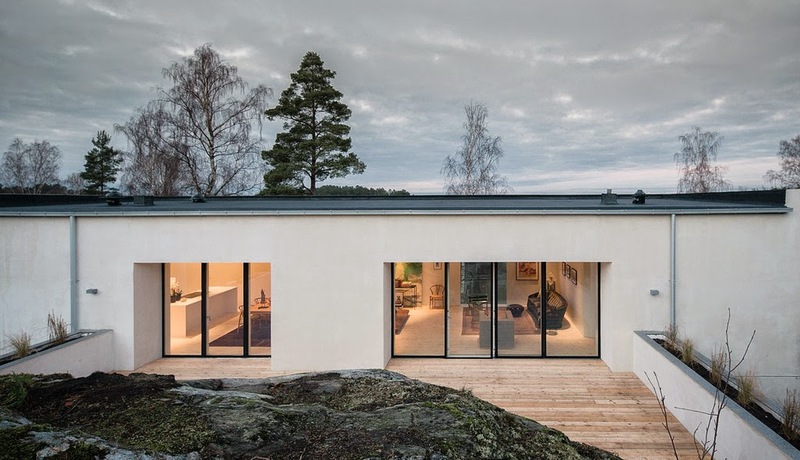 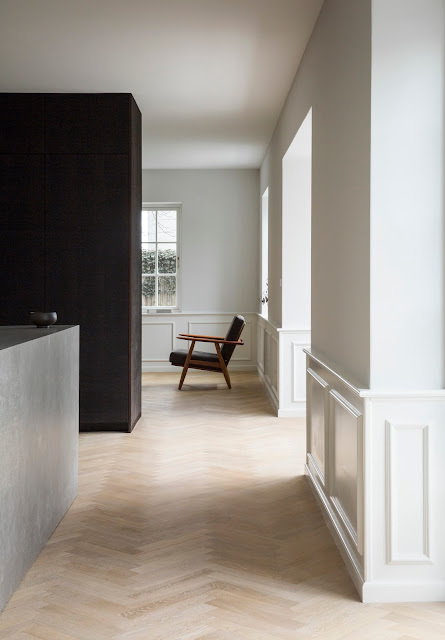 Fourfoursixsix were approached to design a family home in the Stockholm Archipelago. 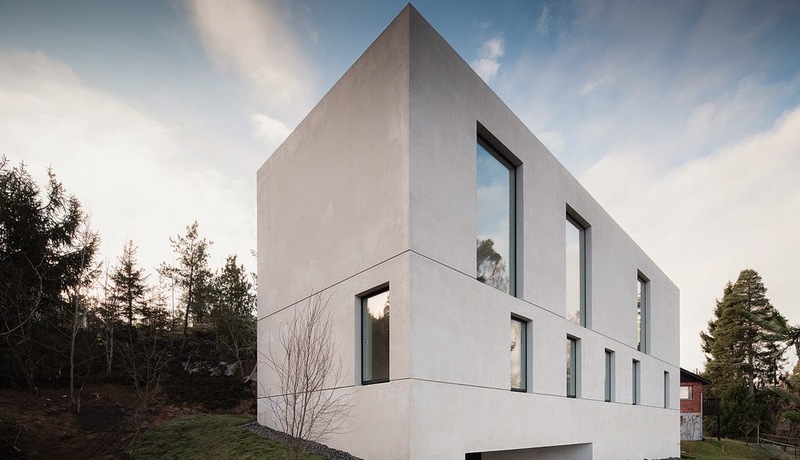 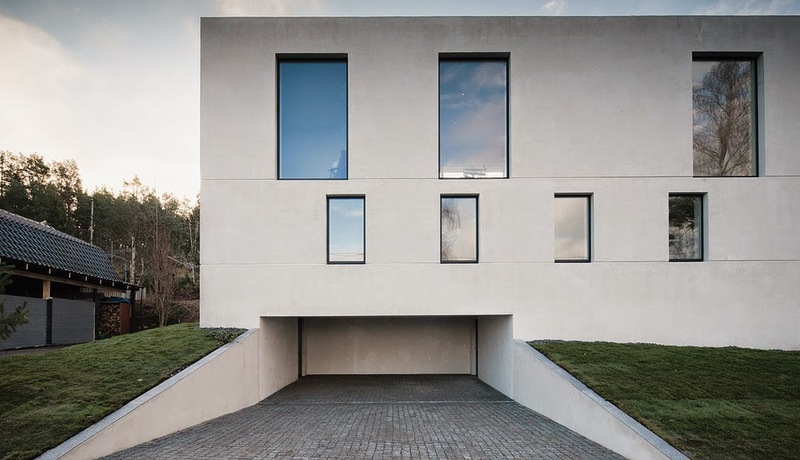 The building faces the sea to the north, so the design seeks solidity with selected key apertures revealing the view. 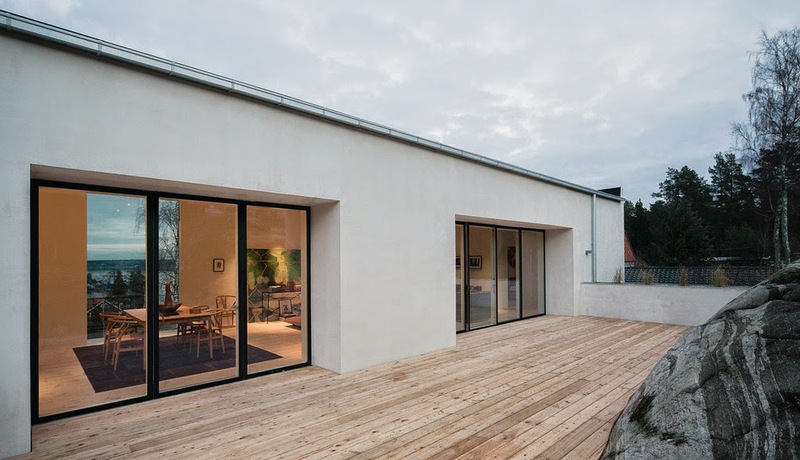 The living areas have been placed at the top of the building in order to enhance sunlight, with a southern terrace meeting a steep rock-face to the rear. 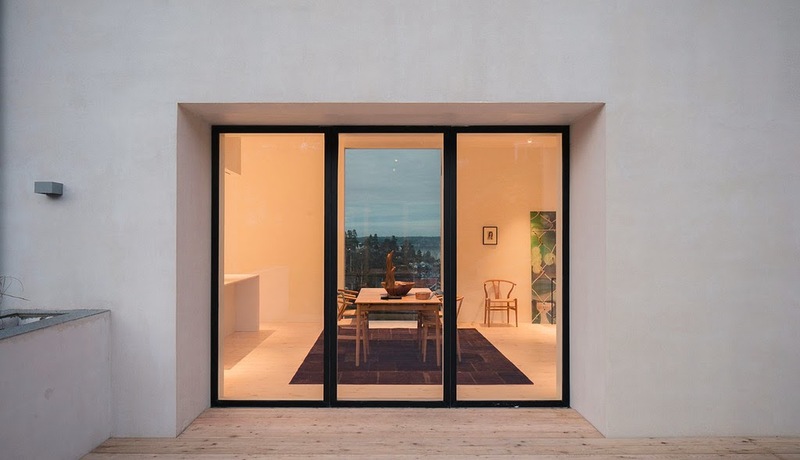 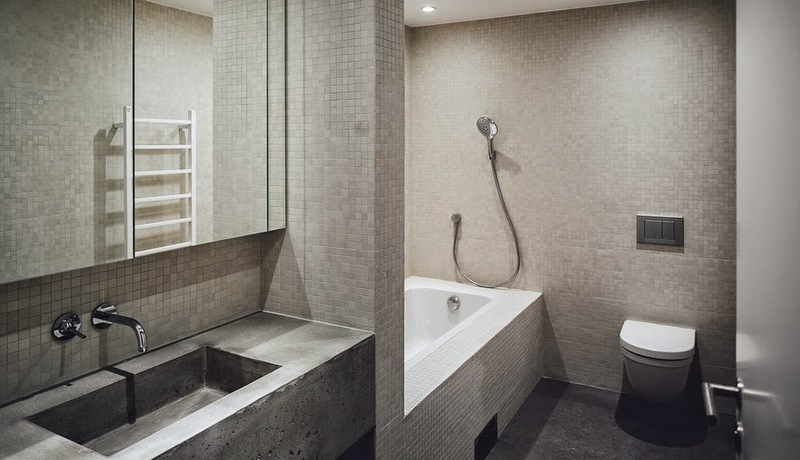 Key to the design's proportion is the exaggerated floor to ceiling height compared with the bedroom level below, which allows vast amounts of light in, particularly through the large, south-facing, sliding glass doors.